It was always my dream to own my own personal training studio, where my clients could come to see me away from the loud and often intimidating atmosphere of public gyms. Having worked in these myself, we certainly both notice the difference and the results speak for themselves! My personal training studio is conveniently located between Southampton and Portsmouth/Fareham, just off the A27. We are a twenty minute drive from Southampton city centre and fifteen minutes from the centre of Fareham. We have ample off road parking and disabled access. 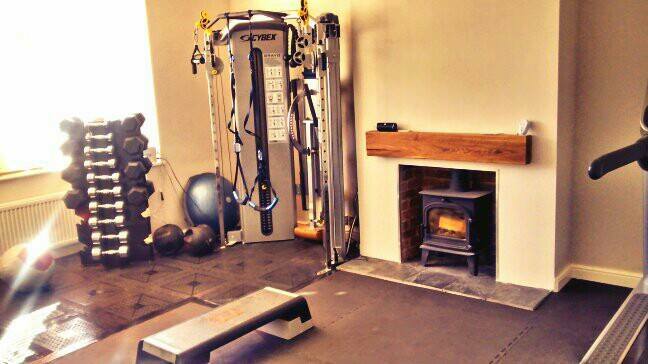 The fully equipped studio is exclusive to personal training, exercise rehabilitation and sports massage clients. We also have a beautiful tranquil outdoor training space with a sun-deck to make the most of every ounce of lovely Southampton weather! And if it gets too hot, we make full use of the shade and splash pool for cooling off! Many regular clients are located in Park Gate, Locks Heath, Swanwick, Bursledon, Hamble, Hedge End, West End, Grange Park, Botley, Eastleigh, Town Quay, Portsmouth, Fareham, Durley, Netley Abbey and even Twyford and Winchester. To have a look round the studio, or book your free consultation feel free to contact me today. I look forward to meeting you soon!